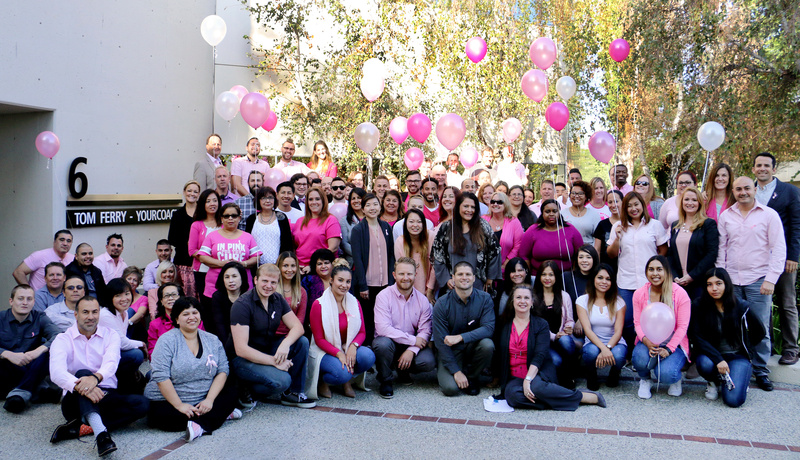 Tom Ferry is proud to support breast cancer research and honor Breast Cancer Awareness Month. During Success Summit, a t-shirt drive was held to raise money for breast cancer research. We are pleased to announce our donations totaled $84,000, which will be donated to the Breast Cancer Research Foundation and UC Irvine Health. UC Irvine Health, a facility that is home to one of only 47 National Cancer Institute-designated comprehensive cancer centers in the United States, received a $20,000 donation. Under the leadership of Dr. Alice Police and the Pacific Breast Care Center team, UC Irvine Health has researched and created new innovations to help treat those with breast cancer. The Breast Cancer Research Foundation (BCRF), the world’s largest private funder of breast cancer research, and the highest-rated breast cancer organization in the U.S. received a $64,000 donation. Check out this great video from Summit and thanks again for helping us support breast cancer research!